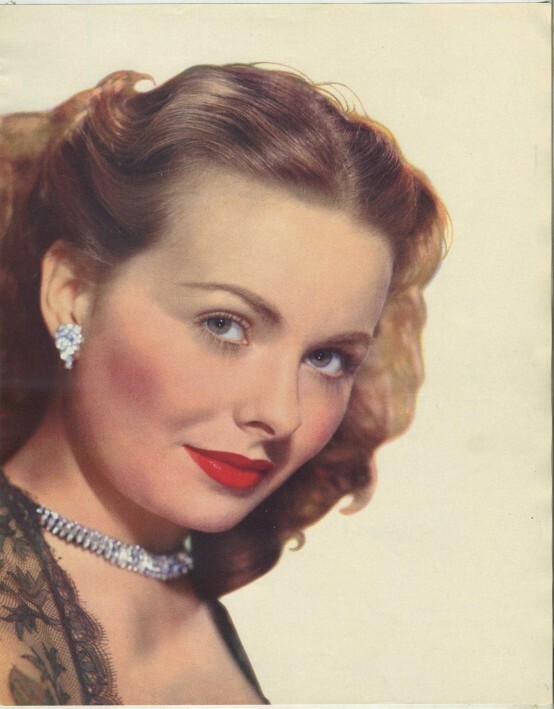 Jeanne Crain was born on May 25, 1925, in Barstow, California. 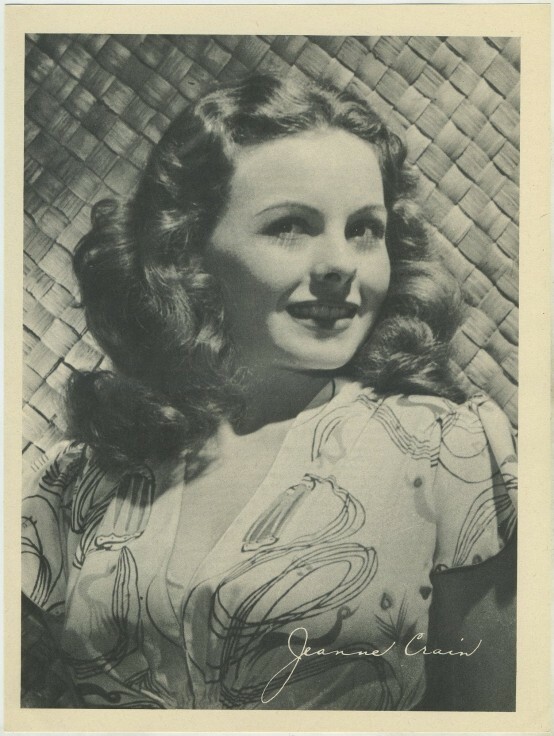 She bumps against the outer edge of the period I like to cover, but I just love her in Margie (1946) and Apartment for Peggy (1948), and she looks gorgeous in the pair of images on this page, so it wasn't too hard a bump! Also appeared in titles such as State Fair (1945), Leave Her to Heaven (1945), A Letter to Three Wives (1949), Cheaper by the Dozen (1950), and received her sole Academy Award nomination for Best Actress in a Leading Role for her performance in Pinky (1949). I always like the tidiness of an obituary for a brief look at a life, here's one by Bob Thomas covering Miss Crain after her passing in 2003.